Not very often do I post about one single item and just from the one brand. To be clear this is not a sponsored post and the boots have not been gifted to me. I am just simply in love with these stud and buckle boots, I’ve hardly taken them off since I got them last week and I just want to share this superb find. 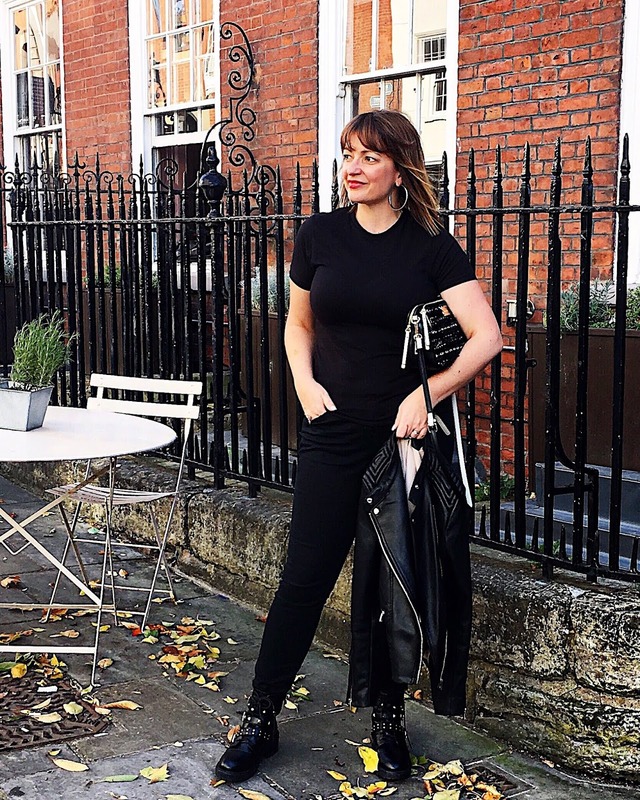 This style of boot is all across the highstreet and online – for real leather you would be looking at a pair from around £90 but more typically I found £130. In my search for a cheaper alternative and I truly wasn’t fussed about whether the leather was real or faux – I stumbled (and I mean stumbled) across these beauties from Boohoo via ASOS. At £35 I was trying to see on my laptop what was wrong with them. In fact because of the price being so low I thought I wouldn’t bother as they simply couldn’t be that great at that low price. But then as I was purchasing something else from the site… I thought why not, I can return them if I don’t like them (although I like to avoid this kind of hassle). Well they are spot on! I loved them the minute I got them out of the box – they look real leather (which has super pleased me) the studs and the buckles are there enough to tick the box but it’s not over-the-top like some you see (this of course is a personal choice and I personally wanted less). Super easy to get on and off because they have the side zip which is quite discreet on the inside so it looks like I’ve had to tie them. But most importantly I have found them very comfy, and I’ve walked a lot of steps in them already – I’m pretty impressed over all. If you are looking to add studded buckle boots to your Autumn/Winter look, well these are a 10/10 from me. Sizing true to fit.